Your browser does not currently support video tags. Please update your browser or switch to a different browser. 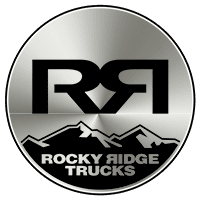 Drivers who choose Rocky Ridge know that they're accessing the best of custom lifted trucks. 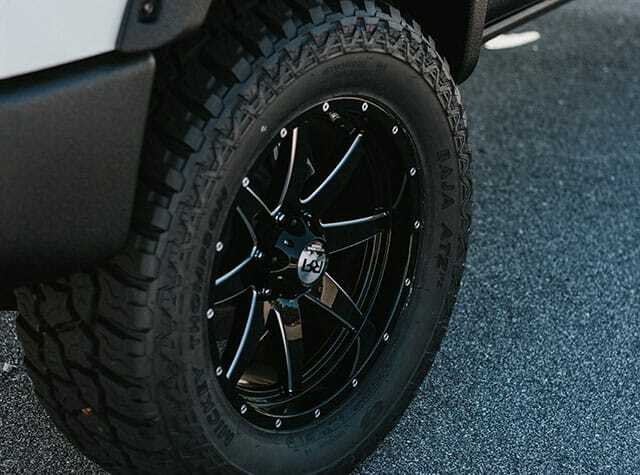 We manufacturer many custom models every year, including the lifted truck, SUV, and Jeep. We maintain a higher standard of quality that is equal to the original factory designs–-that's why people love us! 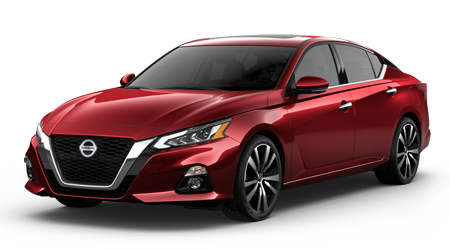 Ask about financing options today. Rocky Ridge never outsources, including our conversions. We handle everything at our nine facilities here in the states. Each one of our locations performs an integral part of the production process. People come to us for innovation, trustworthy products, and quality, which is why we became the top manufacturer of off-road performance models in the U.S. The new pickups we design will work hard for you. 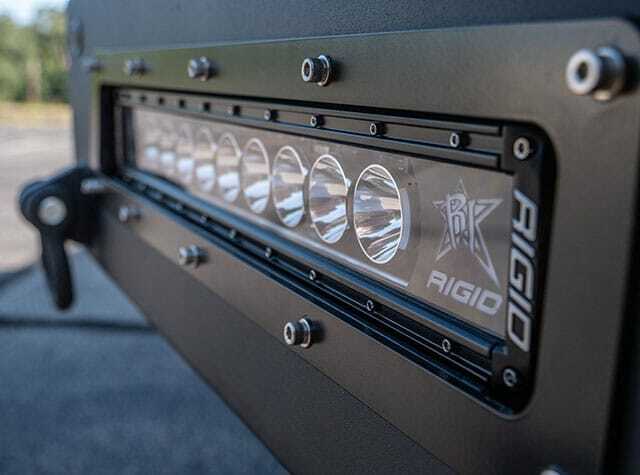 Rocky Ridge creates lifted trucks that are always ready to get down and dirty. Our custom 4x4 models are virtually perfect for every outdoor adventure, hauling, or towing endeavor. No matter what your work entails, you will find that your custom Rocky Ridge lifted truck can handle the load. We design trucks that will get. work. done. 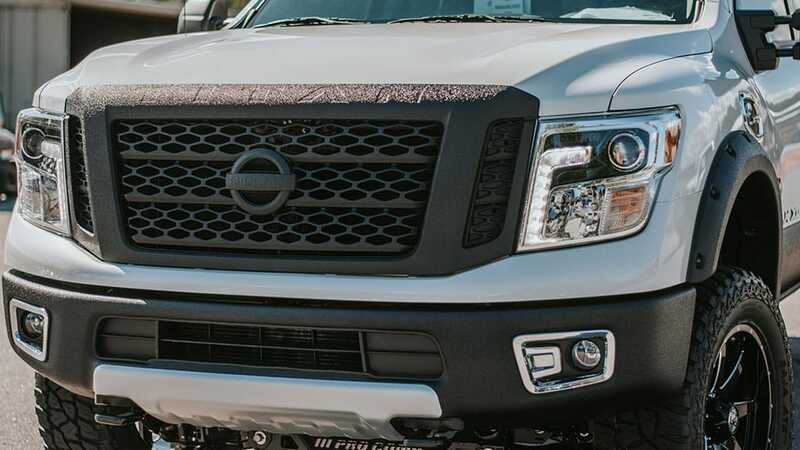 Whether you're looking to take your truck across fields or you need a simple ride to work, you will find that our lifted trucks can always pick up the power when you need it. 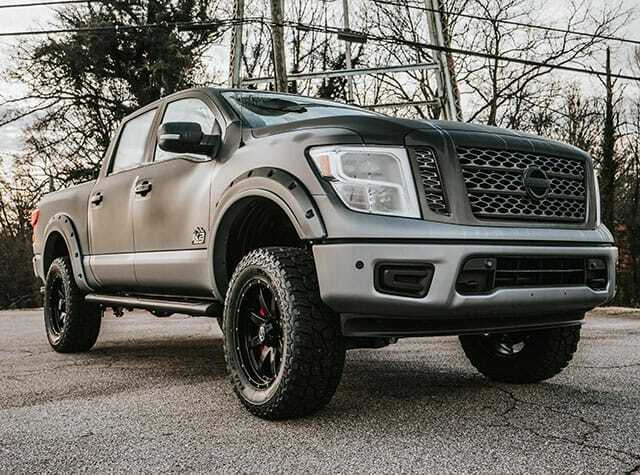 When riding high isn't enough, our custom trucks come in with raw power. If you need a speedy model that will push the limit, our lifted truck packages do have an emphasis on performance. Our automotive engineers use superchargers, which give you the added power you need. We also use performance parts from top manufacturers like ROUCH and Edelbrock. 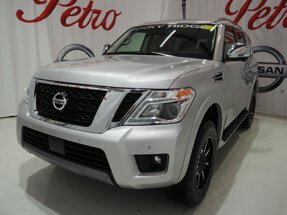 Thanks to the dynamic designs of Rocky Ridge, various customized performance vehicles are waiting for your at Petro Nissan. 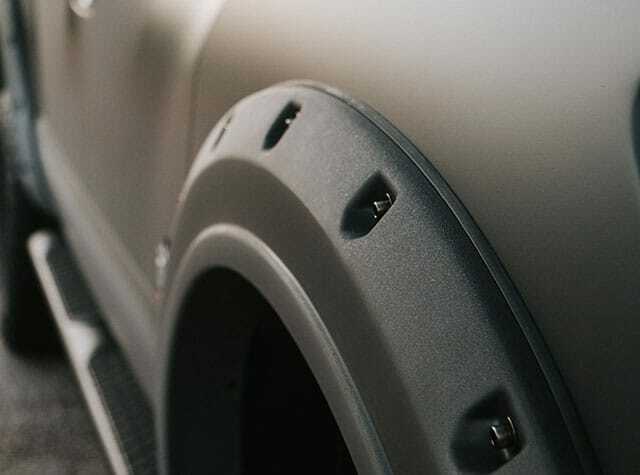 Your pickup doesn't need to be the loudest, but it does need to be the best. 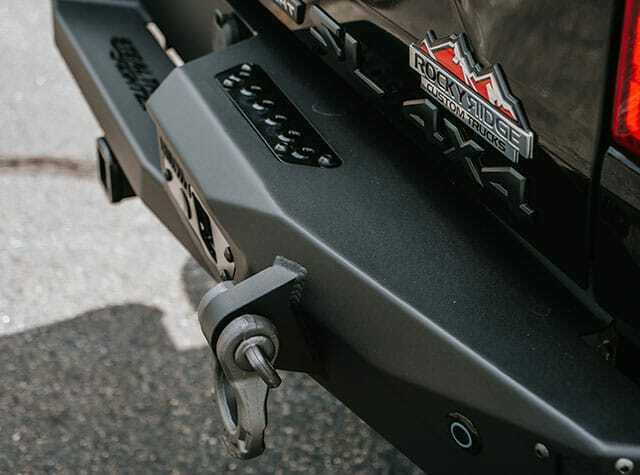 Not only do our lifted packages offer added mechanical power, but they also feature various exterior styles. 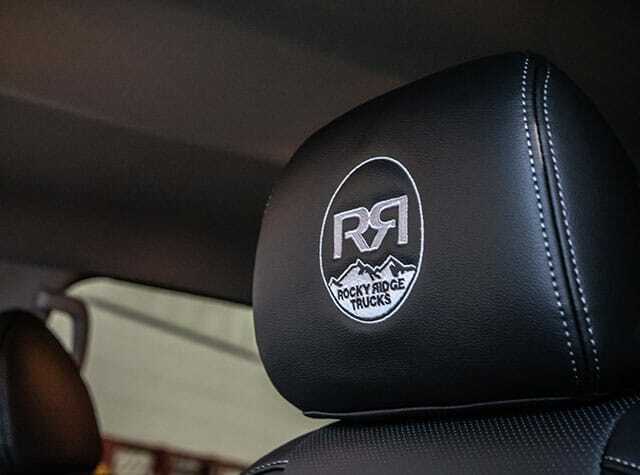 Our Rocky Ridge team prides itself on offering varying styles so that you can find the perfect truck for you. 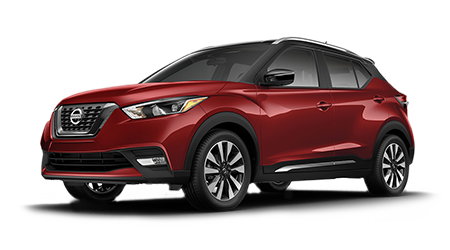 Whether you're looking for a robust, black exterior or a lifted stance, we have something available. Contact us now and we'll get you behind the wheel of a pickup with bright, shining chrome exterior accents. Customize your lifted model with personalized paint jobs and other added feature––it's your truck, so it's your party!